Wow! I was lucky enough to be in the Mojave Desert on the day that recording artist Scott August was passing by on his way home from Sedona. 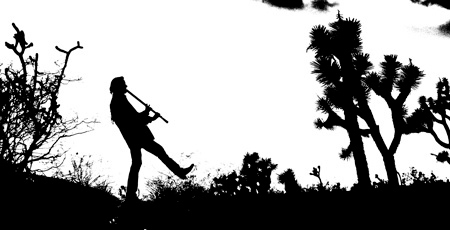 I took Scott on a little walk in the desert at about sundown and got this silhouette of his Kokopelli imitation.